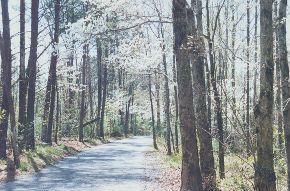 Take a stroll on our private country road! What is there to do at Bend of the River? A better question is "What isn't there to do?" If you like the outdoors, you are going to like it here. And best of all, you can have it all to yourself. Our guests can hike, swim, fish, canoe, and more importantly, relax! At Bend of the River you don't have to walk a mile to enjoy what we have to offer. In most cases the fun is right out the back door. 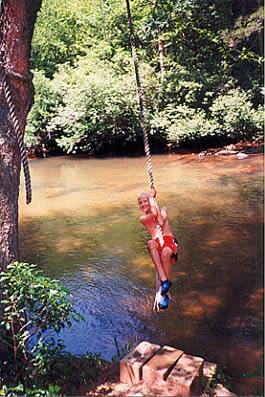 If this still isn't enough for you, there is plenty to do in surrounding Dahlonega and Helen, Georgia. Continue here to learn more about these and many more activities in the surrounding area. Copyright © Bend of the River Cabins & Chalets, 1999 - 2018. All Rights Reserved.